Our annual fun & social trip to Lodi concluded with a soaked feeling, at least for individuals who left on Sunday evening, both inside and out! Most arrived on Friday evening, fulfilling the customary drinks and social session at the bar opposite to Hotel Concorde to kick off the weekend fun! The next day, Saturday ignoring all warnings of rain late in the afternoon, we decided to give it a go and decided to play a 35 over match. Our wonderful host Idle CC won the toss and elected to field, both team agreed to play 13-a-side to accommodate our highly energized and motivated cricket players. WCC opened with Ruan and Chris. Idle CC had a fiery start getting our star opener Ruan 0(3) out quickly. Chris on the other hand was determined to not give up and started off really well and played a very good innings to set the stage for a big total score. While Chris added pressure on the Idle CC, Lucky who replaced Ruan started steadily and kept the scoreboard ticking. Both batted well and set a partnership of 72 when we lost Lucky's 37(43) wicket. WCC at end of 15th overs were 84 for 3. Tom walked in and hit the very first ball for a 6 sending Idle CC a message (please don't get me out early). Chris carried on batting, placed the ball in the gaps and making opposite team rethink fielding strategy. Chris 22 (37) played a key role to get the total up and held on to his wicket when we had to stop the flow of wicket fall, but eventually got out. Andy playing after a light year showed some skills and challenged Idle CC bowlers, Graham showed the youngsters how to time the ball and played some classy shots. After Graham's batting exhibition from 1912 concluded, Shay walked in with confidence, power and his glasses! Tom and Shay steadied the ship and finally Tom 32 (23) left the party leaving Shay 33 (30) not out, DJing rest of the party with Suhash and Mohamed on the dance floor. WCC finished at 194 in 35 overs. After a wonderful Italian lunch from our best ever host Idle CC, WCC started off with Ruan's first over maiden leaving the openers under huge pressure. Suhash from the other end attacking equally leaving no room for runs. Ruan struck in his second over with a "Hot Potato that i like" type of catch from Andy at 1st slip! Both Ruan and Suhash bowled brilliantly and ended their spell in the first 8 overs. Ruan 1 for 17 in 4 overs, Suhash 10 for 0 wicket in 4 overs. Set the scene or an easy victory. Tom brought in Anoop who destroyed the batsmen with his line and length and ended his 5 over spell 2 for 12! The 2nd wicket was a stunner as he destroyed the stumps. Chris tried his best with the ball but struggled to maintain line and length as the umpire kept disturbing his run up and follow through. Interestingly, enough he compensated it with few glasses of wine and protected it from the evil pink ball and all greedy players around trying to drink it. After the initial few glasses of wine, Chris started seeing the ball as reddish-pink, which enabled him to take a spectacular catch in slow motion dive forwards (Disclaimer: no wine glass was harmed or broken during this match). Lucky bowled like an international player in spite of all the worries about slipping and breaking a leg due to wet conditions his bowling figures of full spell of 7 overs 22 runs and 2 wickets!!! Selva bowled brilliantly completing his spell of 6 overs 20 runs and 2 wickets ! While our bowlers were attacking, Naseer from Idle CC was taking his team on the path to victory. Andy did well to keep the runs down bowled 3 overs with no wicket and only giving away 15 runs considering the fact that his last cricket practice was 2 years ago in Lodi. Andy didn't just bowl well, he was all over the ground diving and stopping the ball, showing youngsters how its done! Both Chris and Andy were absolutely agile and quick on the field, something for the youngsters to keep in mind for the league and T20 matches for the season. The wonderful victory, rainy wet day ended with WCC and Idle CC members going for a nice Italian dinner. Thanks to our hard working el Presidento John Hallam, Chris Lodge, our Mr. Social Vinat Patel and our CFO Jit Patel for doing some umpiring work in the wet cold weather! Apologies if I missed anyone)! The second match was called off by both the teams, as it was raining gatti e cani! Therefore, a last minute match between wallet and shopping was scheduled instead. To know who won, join us next year, many more funny stories, lots of beer, good host, good food and competitive cricket is awaiting us next year. Thank you to all the WCC members who joined this tour and making it a wonderful memory and fun trip. Rain is always a spoiler but its all about having good friendly company and lots of beer, apologies to those who couldnt play the second match. On behalf of WCC committee members i would like to thank Minda, Christine, Riyaza, Ushma, Veena, Sudha, Silky, Mechteld, Jana, Suresh & Johan for being part of the tour and supporting WCC by making it a joyful event ! Last but not the least Aaminah, Aadhya, Parathana, Krjin, Toon & Rohan for simply being cute, funny and enteraining us with their cute smile and undying energy! A special thanks to Rohan for telling Vinny off "Don't touch!!!!" Hahaha highlight of the tour! Looking forward to a fun tour to Lodi again in 2018. You can view photographs of the 2017 Lodi Tour in the WCC website gallery. 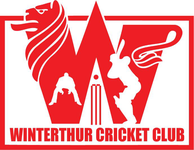 For further information about this event or how to become a member of the Winterthur Club Club contact Tom Mampilly.